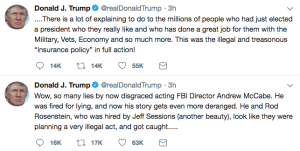 In an attempt to undercut Andrew McCabe’s publicity tour, the President is on a tear, attacking what he claims was McCabe and Rod Rosenstein’s “treasonous” insurance policy. 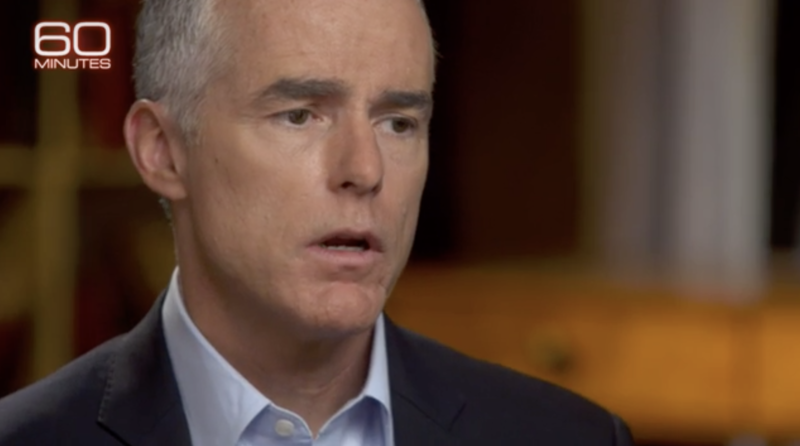 We’re at a point where both sides are making claims of treason, which only serves to feed the intensity of both sides, without convincing Trump’s supporters (and other denialists) that the concerns about Trump’s loyalty — and therefore the investigation that McCabe opened into him — are well-grounded. But there are neutral third party observers here, weighing the claims of loyalty. Four different sentencing processes have sided with those questioning the loyalty of Trump and those close to him. In the first two cases where Trump flunkies have been sentenced, the flunkies themselves have pointed to how their own misplaced loyalties caused them to commit crimes. In George Papadopoulos’ sentencing memo, he attributed the actions that led to his prosecution — his attempts to broker a meeting between Putin and Trump — to a desire to curry Trump’s favor. George’s giddiness over Mr. Trump’s recognition was prominent during the days that followed the March 31, 2016 meeting. He had a sense of unbridled loyalty to the candidate and his campaign and set about trying to organize the meeting with President Putin. Papadopoulos says he lied to the FBI out of loyalty to Trump. Mr. Papadopoulos misled investigators to save his professional aspirations and preserve a perhaps misguided loyalty to his master. George explained that he was in discussions with senior Trump administration officials about a position and the last thing he wanted was “something like this” casting the administration in a bad light. The agents assured him that his cooperation would remain confidential. More specifically, he lied to avoid tainting the Trump campaign with any tie to Russia. George lied about material facts central to the investigation. 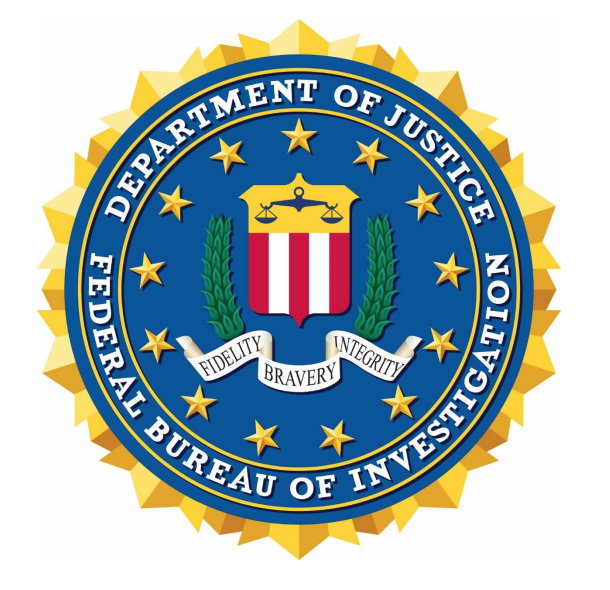 To generalize, the FBI was looking into Russian contacts with members of the Trump campaign as part of its larger investigation into Russian interference with the 2016 election. This issue had dominated the news for several months with stories concerning Carter Page and Paul Manafort. The agents placed this issue squarely on the table before George and he balked. In his hesitation, George lied, minimized, and omitted material facts. Out of loyalty to the new president and his desire to be part of the administration, he hoisted himself upon his own petard. I have argued that this memo served the dual purpose of accepting responsibility while signaling others and reaffirming his loyalty to Trump, and I stand by that. Given his efforts to reverse his sentence, Papadopoulos show of contrition at his hearing was just that, a ruse. But it was one of the things that convinced Judge Randolph Moss to impose just two weeks. Another, however, were the comments of Papadopoulos’ lawyer, Thomas Breen, who argued Trump had obstructed the Mueller investigation far more than his client had. In imposing prison time, Moss emphasized that Papadopoulos lied about a manner of grave importance. So Papadopoulos’ lawyers agreed his loyalties were misplaced and Judge Moss judged that Papadopoulos’ lies pertained to something that strikes at the integrity of our democracy. As Papadopoulos did, Michael Cohen attributed his obstruction to his blind loyalty to Trump and a desire to sustain Trump’s false narrative denying ties to Russia. I made these misstatements to be consistent with Individual 1’s political messaging and out of loyalty to Individual 1. In his cynical, Lanny Davis-crafted statement at sentencing, Cohen talked about how he put loyalty to Trump over that to his family, ending with an apology to the US. I blame myself for the conduct which has brought me here today, and it was my own weakness, and a blind loyalty to this man that led me to choose a path of darkness over light. It is for these reasons I chose to participate in the elicit act of the President rather than to listen to my own inner voice which should have warned me that the campaign finance violations that I later pled guilty to were insidious. Recently, the President Tweeted a statement calling me weak, and he was correct, but for a much different reason than he was implying. It was because time and time again I felt it was my duty to cover up his dirty deeds rather than to listen to my own inner voice and my moral compass. My weakness can be characterized as a blind loyalty to Donald Trump, and I was weak for not having the strength to question and to refuse his demands. I stand behind my statement that I made to George Stephanopoulos, that my wife, my daughter, my son have my first loyalty and always will. I put family and country first. My departure as a loyal soldier to the President bears a very hefty price. 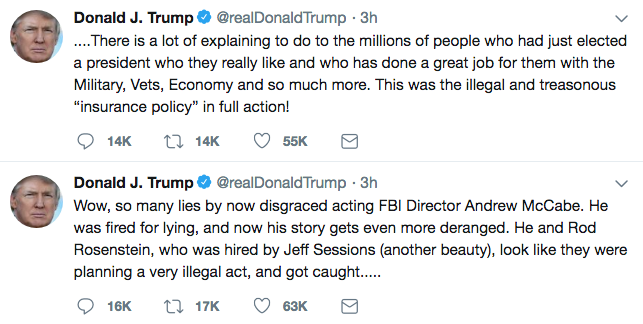 For months now the President of the United States, one of the most powerful men in the world, publicly mocks me, calling me a rat and a liar, and insists that the Court sentence me to the absolute maximum time in prison. Not only is this improper; it creates a false sense that the President can weigh in on the outcome of judicial proceedings that implicate him. I want to apologize to the people of the United States. You deserve to know the truth and lying to you was unjust. In sentencing Cohen, Judge William Pauley pointed to how his ties to Trump and the access that gave him led him to lose his moral compass. [H]is entire professional life apparently revolved around the Trump organization. He thrived on his access to wealthy and powerful people, and he became one himself. But somewhere along the way Mr. Cohen appears to have lost his moral compass and sought instead to monetize his new-found influence. That trajectory, unfortunately, has led him to this courtroom today. Cohen’s guilty plea — particularly the way he tried to cabin off cooperation implicating his family — is cynical as hell. But to the extent he is willing to help prosecutors, it entails being treated as a traitor by the President. The other two Trump flunkies who’ve gotten close to sentencing are even more striking — in part because they have been less successful at crafting a fiction about setting their loyalty to Trump or other paymasters aside. Flynn was set to get probation until he and his lawyer used their own sentencing memo to continue the line all the other loyal Trump flunkies have, suggesting that the investigation was illegitimate. While Emmet Sullivan — ever on guard against prosecutorial misconduct — might have done so anyway, this led the judge to ask for the paperwork behind Flynn’s claims. 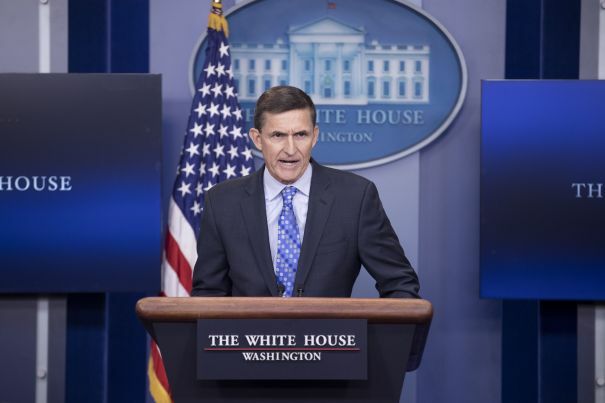 Which in turn led to the production of really damning details of Flynn’s lies. 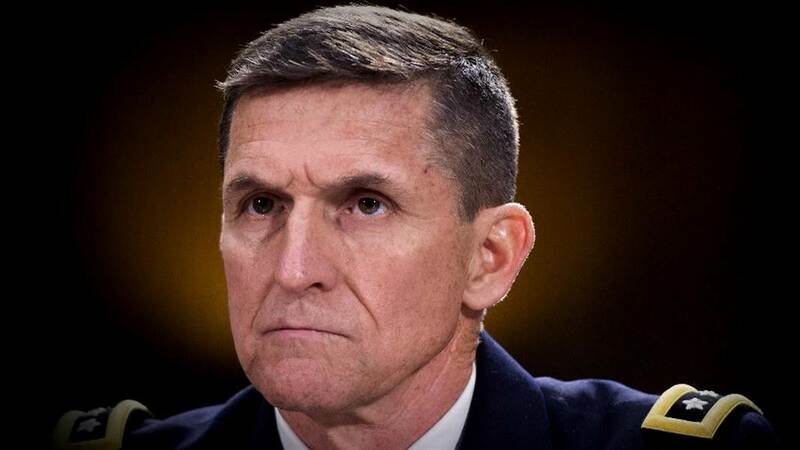 That, in turn, led Sullivan to hesitate before sentencing Flynn, in part because the “great deal of nonpublic information in this case” he read led him to grow disgusted about what Flynn had done. Sullivan, as the first judge to read in detail about Mueller’s underlying investigation, said some absolutely remarkable things (and note, at least some of this language pertains to Flynn selling out to Turkey, not Russia). It could be that any sentence of incarceration imposed after your further cooperation is completed would be for less time than a sentence may be today. I can’t make any guarantees, but I’m not hiding my disgust, my disdain for this criminal offense. So in this case, Flynn’s bid to discredit the investigation instead led to remarkable comments about how Flynn’s underlying crimes — the ones he lied to cover-up — amount to selling out his country. 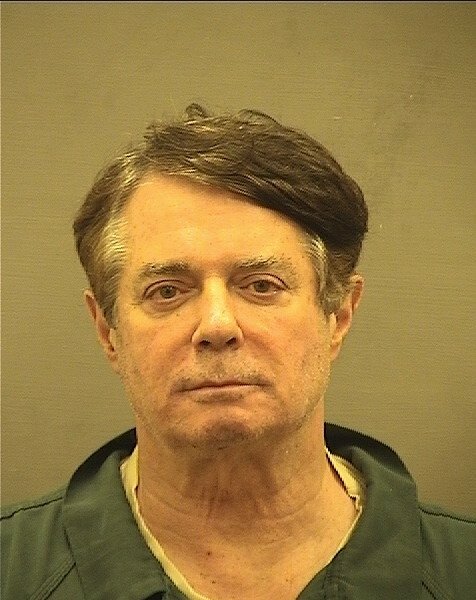 Which brings us to Paul Manafort, who is currently facing what amount to be several life sentences because he refused to cooperate, even after promising to do so, against Trump and his Ukrainian and Russian paymasters. As I have noted, Manafort’s lies served to avoid giving the government evidence that Trump conspired with Russia to get elected. But don’t take my word for it. In announcing her ruling in the breach determination last week, Amy Berman Jackson paid special attention to Manafort’s lies about Konstantin Kilimnik. The most important lie, it seems, pertains to Manafort sharing of detailed polling data with Kilimnik at a meeting where they also discussed sanctions relief in the guise of a Ukrainian peace detail. The description of whom Manafort intended that data to be shared with is redacted. But ABJ moved directly from describing the intended recipients to judging that sharing the data amounts to a link with Russia. Also, the evidence indicates that it was understood that [redacted] would be [redacted from Kilimnik [redacted] including [redacted], and [redacted]. Whether Kilimnik is tied to Russian intelligence or he’s not, I think the specific representation by the Office of Special Counsel was that he had been, quote, assessed by the FBI, quote, to have a relationship with Russian intelligence, close quote. Whether that’s true, I have not been provided with the evidence that I would need to decide, nor do I have to decide because it’s outside the scope of this hearing. And whether it’s true or not, one cannot quibble about the materiality of this meeting. She continued by saying that she didn’t even have to determine whether — as the government claims — Kilimnik has active ties to GRU. Whatever Kilimnik’s ties to Russian military intelligence, ABJ still considers his relationship with Manafort to implicate coordination with the Russian government. 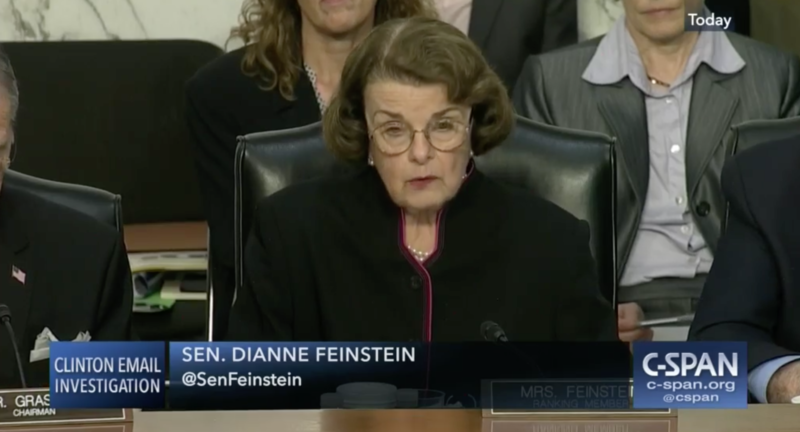 I also want to say we’ve now spent considerable time talking about multiple clusters of false or misleading or incomplete or needed-to-be-prodded-by-counsel statements, all of which center around the defendant’s relationship or communications with Mr. Kilimnik. This is a topic at the undisputed core of the Office of Special Counsel’s investigation into, as paragraph (b) of the appointment order put it, Any links and/or coordination between the Russian government and individuals associated with the campaign. Mr. Kilimnik doesn’t have to be in the government or even be an active spy to be a link. The fact that all of this is the case, that we have now been over Kilimnik, Kilimnik, and Kilimnik makes the defense argument that I should find the inaccurate statements to be unintentional because they’re all so random and disconnected, which was an argument that was made in the hearing, is very unpersuasive. Mr. Manafort doesn’t just say to the agents, Kilimnik doesn’t believe he was pressuring the witness, or Kilimnik didn’t think he was suborning perjury, he didn’t intend to violate U.S. law, he makes the affirmative assertion that Kilimnik believed the project was a European project, when Manafort plainly knew that Kilimnik knew it wasn’t and the documents plainly reflect that it wasn’t, and that was the basis for the conspiracy count to which he pled guilty in the first place. To me, this is definitely an example of a situation in which the Office of Special Counsel legitimately concluded he’s lying to minimize things here, he’s not being forthcoming, this isn’t what cooperation is supposed to be. This is a problematic attempt to shield his Russian conspirator from liability and it gives rise to legitimate questions about where his loyalties lie. We have yet to get Mueller’s sentencing memo in the DC case or ABJ’s response to any claims they may make about why Manafort chose to face a life sentence rather than tell the truth about his conspiracies with Konstantin Kilimnik. But it’s pretty clear that ABJ believes Manafort’s lies suggest he has suspect loyalties. 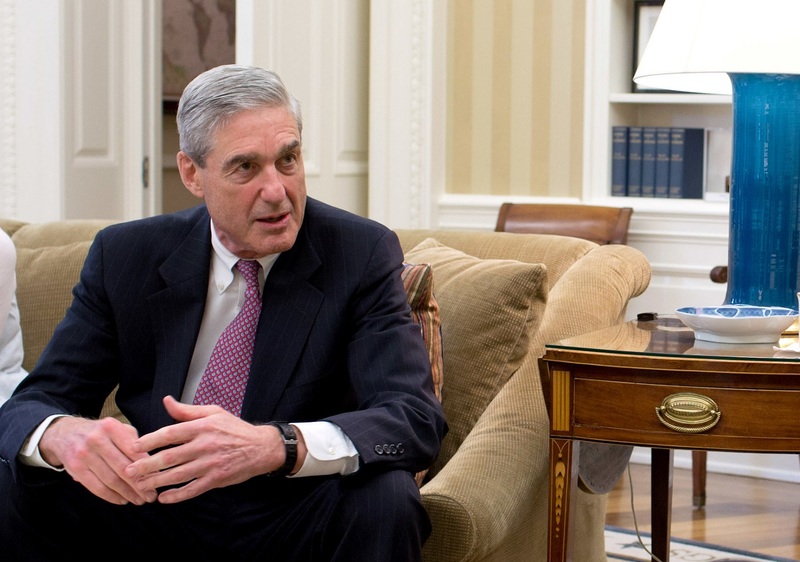 Four times so far in this investigation, Trump’s aides have started the sentencing process for their crimes designed to obstruction Robert Mueller’s investigation. All four times, before four different judges, their misplaced loyalty to Trump above country has come up. And with both Flynn and Manafort — where the judges have seen significant amounts of non-public information about the crimes they lied to cover-up — two very reasonable judges have raised explicit questions about whether Trump’s aides had betrayed their country. Trump wants this to be a case of contested claims of betrayal. But the judges who have reviewed the record have used striking language about who betrayed their country. Some weeks ago, I used Leon Jaworski’s Road Map to imagine what an equivalent Robert Mueller Road Map, packaging grand jury information to share with the House Judiciary Committee, might look like. Among other things I showed the close parallel between John Dean’s attempt to craft a cover story and Don McGahn’s attempts to do the same. That section included how Nixon worked Henry Petersen, then Assistant Attorney General for Criminal Division, to try to influence the investigation. Another section showed how Nixon was commenting on what he had said to Petersen and Attorney General Kleindienst was like Trump’s comments on Jim Comey and other DOJ officials. That was all written from the outside. Today, former FBI General Counsel James Baker performs the same task. He doesn’t describe the effort as such. Rather, he just says he finds certain things — particularly those having to do with Henry Petersen — attracted his (and Sarah Grant’s, with whom he wrote this) attention. One of the aspects of the recently released Watergate “road map” and related documents that attracted our attention is the set of materials pertaining to interactions, direct and indirect, between President Richard M. Nixon and two senior Department of Justice officials. The whole post starts with a description of how Petersen told Nixon that Haldeman and Ehrlichman were implicated in the break-in and advised him to fire them, only to have the President respond that he would not. The parallel here, of course, is Mike Flynn, whom Sally Yates recommended Trump fire, but whom Trump kept on for almost two weeks because he had ordered him to engage in the suspect behavior in question. The post goes on to describe how Nixon got that top DOJ figure to provide information on a DOJ investigation investigating him personally. 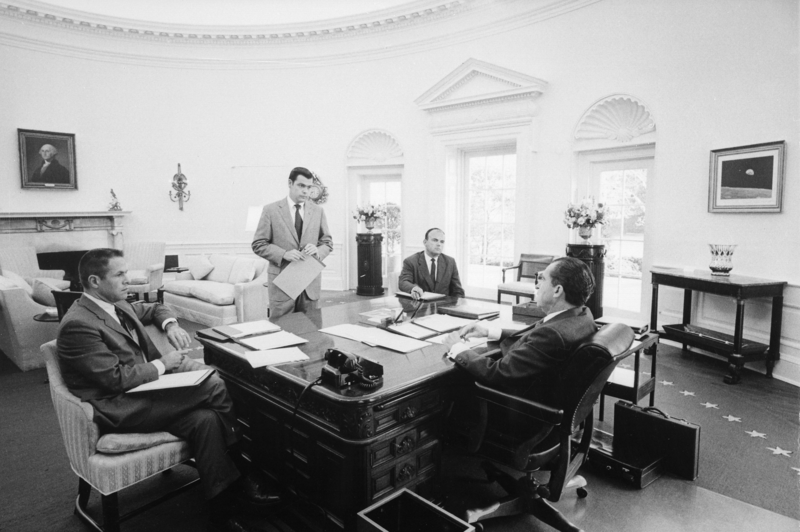 According to the president’s logs, between March 13, 1973, and April 30, 1973, President Nixon had seven meetings and initiated 19 phone calls with Petersen. These calls included four on April 15, 1973, after Kleindienst and Petersen met with the president to recommend that he fire Haldeman and Ehrlichman, including one call from 11:45 p.m. to 11:53 p.m. It is difficult to recount concisely the details of all of these communications to the extent that they are reflected in the information that we reviewed. 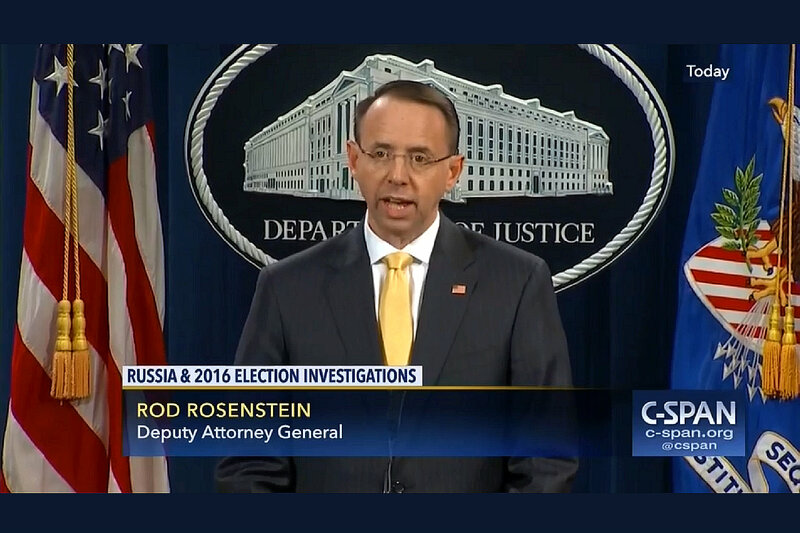 Suffice it to say that these communications and other information in the attachments to the road map indicate that the Justice Department provided the White House with certain information about the course of the investigation on an ongoing basis. The president, in short, was using a senior Justice Department official to gather intelligence about an ongoing criminal investigation in which he was personally implicated. The post also explains how Nixon tried to influence Petersen to speed up the investigation and by offering promotions. It lays out how Nixon asked the top DOJ official whether he, personally, was under investigation. Similarly, the Watergate Task Force report referenced above states that on April 27, 1973, “the President asked Petersen if he had any information implicating the President himself. Petersen said he did not.” The president, in other words, was asking the head of the Criminal Division whether he was personally under investigation. And then it shows how HJC included such abuses in its articles of impeachment. In disregard of the rule of law, . . . knowingly misused the executive power by interfering with agencies of the executive branch, including the Federal Bureau of Investigation, the Criminal Division, and the Office of Watergate Special Prosecution Force, of the Department of Justice, and the Central Intelligence Agency, in violation of his duty to take care that the laws be faithfully executed. President Nixon resigned on Aug. 9, 1974, and was pardoned by President Gerald Ford on Sept. 8, 1974. As I noted in the post where I drew these parallels, we’re not in 1974 anymore, and there are a lot of reasons to doubt Trump will be impeached for acting in a similar manner as Nixon did. But James Baker definitely seems to think the parallels are there. Between setting the first status hearing in Paul Manafort’s case as November 16, and setting the Mike Flynn sentencing for no earlier than November 28 (with the reports submitted on November 14), Mueller’s office seems to be suggesting they’ll wait until after election day to roll out the case they just added Trump’s Campaign Manager’s testimony to. Not long after the release of the Flynn status hearing, Trump ordered the release of yet more stuff on the Steele dossier (the stuff in the first paragraph), plus unredacted texts on what the investigation looked like before August 1, 2017. 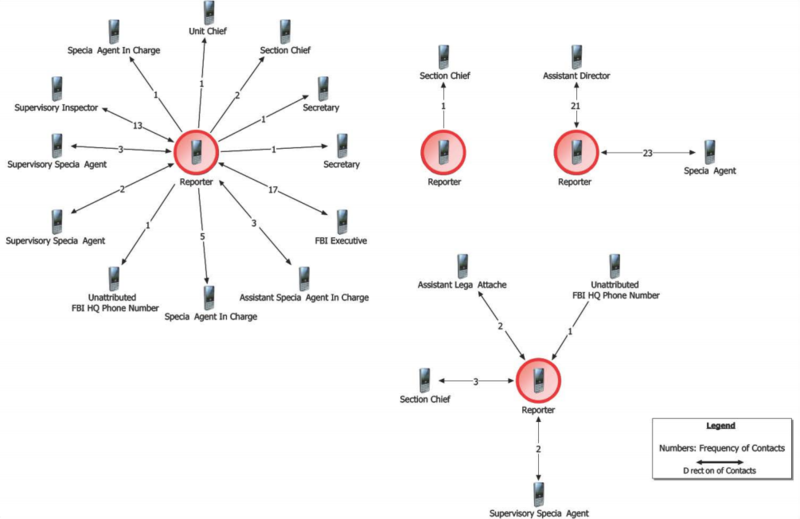 Depending on how much the various parties put into these texts (I doubt Comey was much of a texter, for example), this will show unbelievable detail on how FBI runs counterintelligence investigations. But it will also show voters what the investigation looked like before some key evidence came in, such as the communications surrounding the June 9 meeting and whatever the FBI seized from Paul Manafort’s home. 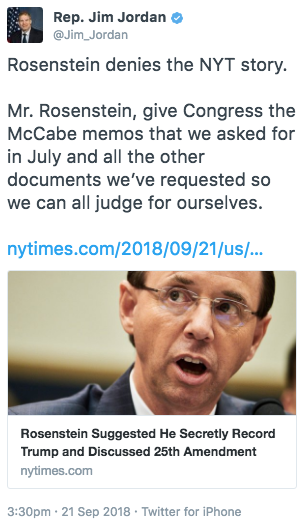 Andrew McCabe was the last person in a key role on this investigation, and Christopher Wray took over that role on August 1. It’s a desperate gambit, I think, throwing the last of the Steele dossier details out there, plus a picture of what the investigation looked like before the FBI learned that the President’s son entered into a conspiracy with Russians exchanging Hillary emails for sanction relief. Which I take as yet more confirmation that that conspiracy — and whatever Manafort just gave the government — would (will, eventually) utterly damn the President.